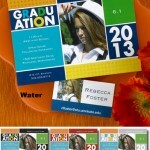 Beautiful Wedding Accessories from Beverly Clark are here at Hyegraph Embarcadero in San Francisco. We’re having a Sidewalk Sale and we’re including an assortment of of lavish satin covered Guest Books, Pens and Ring Pillows for your Wedding Day. 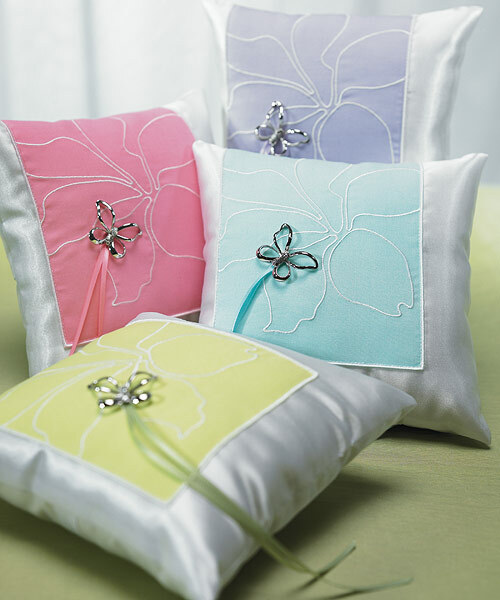 The above example is a Butterfly Dream Satin embellished Square Rink Pillow from Beverly Clark. This colorful pillow design makes a great accessory for any spring or summer wedding! 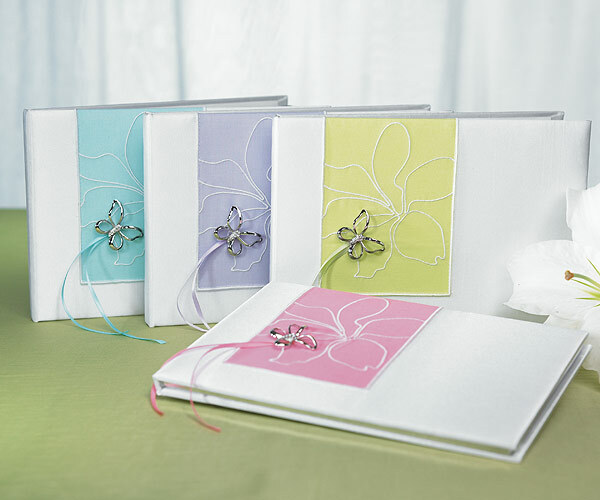 The above example of a Beverly Clark Wedding Guest Book is embellished with satin, colorful designs and makes a great accompaniment to the Ring Pillow and Pen. Guests will sign in and leave a personal message for the bride & groom in this traditional guest book! 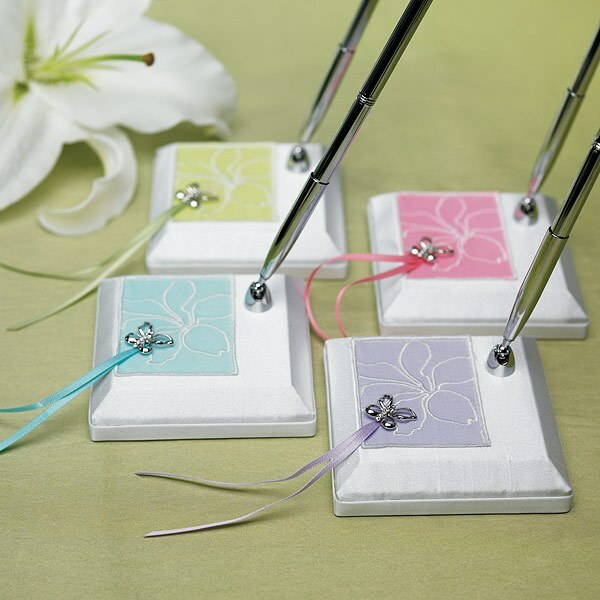 You can pick and choose from these colorful assortment of Guest Pens to match your Guest Book and pillow. Guests will have fun writing with these whimsical pens at your wedding reception. Please come in this Thursday 4/19th for a Special Sidewalk Sale! 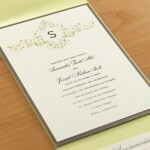 Please come in to see invitations and calligraphy samples in person at our store located at 3 Emabarcadero Center in San Francisco, CA or see our website for wedding invitations options.